So, I have a new position. I am assistant band director at a high school that’s about 15 minutes from my house. I attend rehearsals three times a week, and I have the pleasure of interacting with all of the band kids. But it didn’t start off this way at first. Initially, I was hired as the percussion instructor (as I normally am), but the more I talked with the band director, the more he saw a greater value in me beyond being limited to the drum line. Now, I’m assistant director. Among other gifts, I have been blessed with a skill for leadership development, apparently. As a result, I have been afforded the opportunity to work with the section leaders. I meet with them once a week, and we work intently on instilling leadership skills. The other day, I explained to them a little bit about power. I said, “The higher you are in position, the more of a servant you become. I hope that you are not a section leader to rule over people, but instead to use the power you have been entrusted with to help others.” Many of them nodded in agreement. It was a great feeling to know that the students understood where I was coming from. After the meeting, we joined full ensemble rehearsal, which was already in progress. I noticed that the band director was resolving an issue with his computer, and the drum major needed some critiquing on her conducting style. So, I showed the drum major a few pointers as she conducted on the podium. I heard some things in the band that needed to be sorted out (within the music). Long story short, I was able to “work” the music and they [the band] sounded better. As I relinquished the podium to the head band director, he said to me, “I can watch you do this all day. I have much to learn.” I later thanked him for the compliment, but the fact that the students applauded me as I left the podium was quite special. It let me know that they appreciated my efforts. All I wanted to do was help the band sound good. I didn’t do it to “show up” the head band director (who is a great friend). I just wanted to help. This speaks directly to my character as it pertains to influence. I don’t desire to invoke power, but instead, to effect positive change. Everywhere I go, I desire to make my environment better. If the room is darkly lit, I bring with me light, to help others see. If I walk into a desert, I will bring a well-spring to refresh everyone. Where there is confusion and chaos, I bring order and solutions. As I wrap this up, I leave with you the definition of influence. I never knew how much this describes me until now. 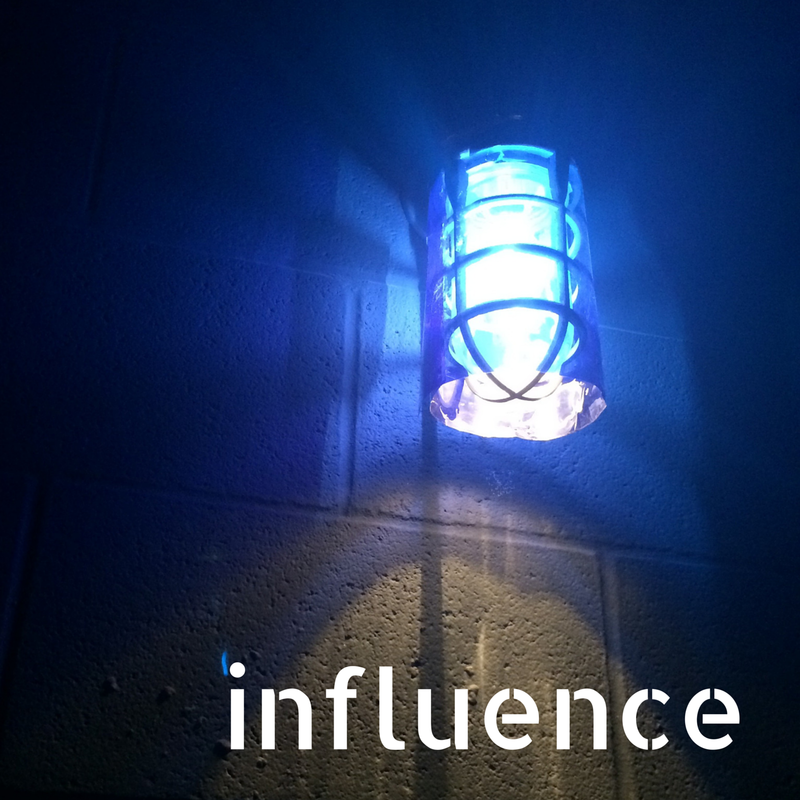 influence: (n)-the capacity to have an effect on the character, development, or behavior of someone or something, or the effect itself.